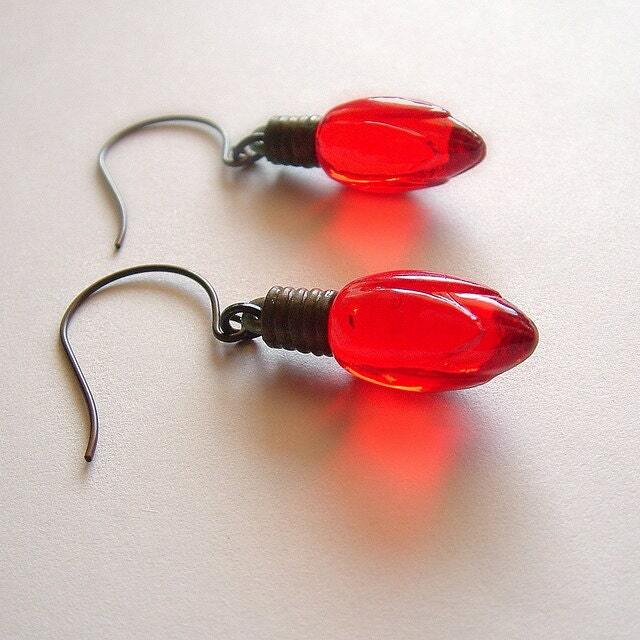 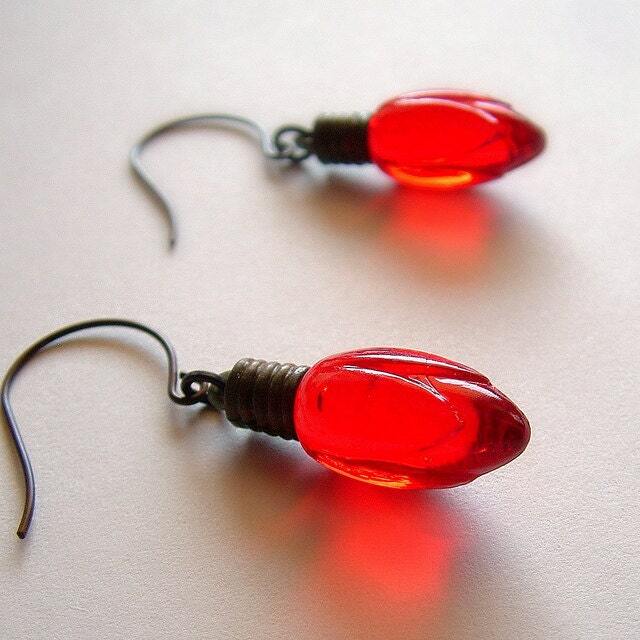 Handmade Christmas light earrings with vintage red Christmas light charms. 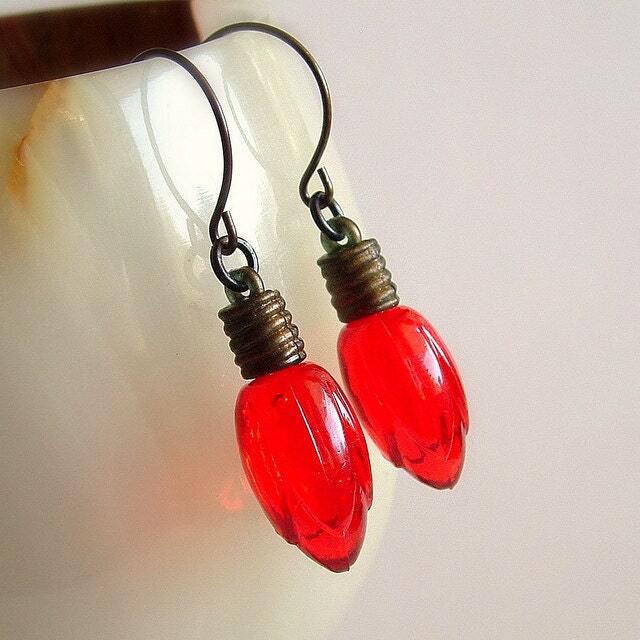 Made with pretty little glowing red vintage clear faux Christmas light charms that look like glass. 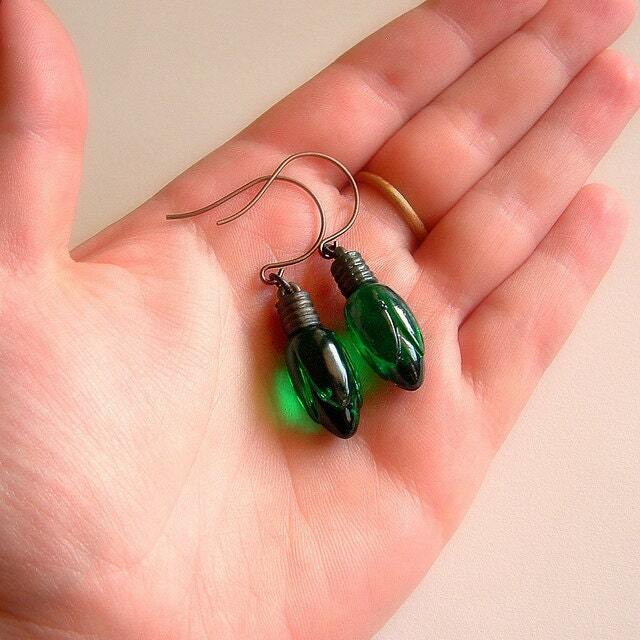 Cute and perfect for the Holidays! 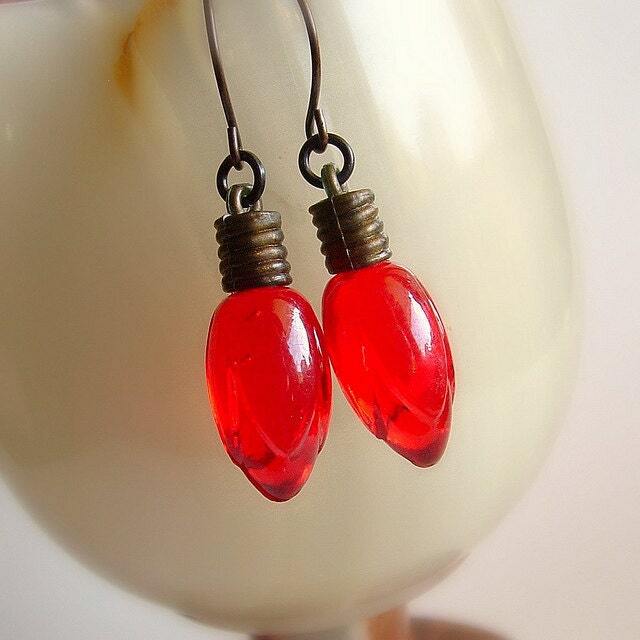 See the other colors in my shop.